Take advantage of our independent expertise to identify problems or add value through R&D. Let our academics help you develop new products or processes. Our client list includes multi-national corporates as well as SMEs and start-ups. As we are a not-for-profit organisation supported the federal government, we can offer competitive commercial rates. Learn more through the case-studies below or contact our Business Development Manager, Dr Jenny Whiting. We will be glad to help you find the right fit for your organisation and your project. 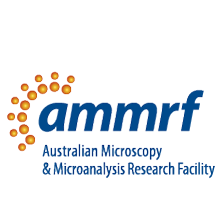 The AMMRF Technical Voucher Fund has been established to provide access for researchers in the MedTech and Pharma industries to state-of-the-art instrumentation and expertise for nanostructural analysis at AMMRF labs around the country. Applications are simple and the approval process fast. There is no specific deadline and applications can be made at any time. The Australian Research Council (ARC) offers Linkage Project grants to develop strategic, long-term collaborations between industry and universities. The grant may address a specific need or create new knowledge. These relationships occur where an industry partner will fund the costs of research, including instrument fees, consumables and salaries for research staff or student scholarships. Testing and consultancy services such as failure analysis, identification of contaminants, quality assurance and forensic testing are available at commercial rates. Top Australian companies in a range of sectors benefit from our expertise and advice. Industry employees are trained and provided with access privileges in-line with their level of competency. Instrument or beam time is charged at commercial rates that are determined by individual nodes of the AMMRF.